Oh, so sorry to hear about your colleague’s mother – that sounds like a very good use of her yarn. The vest is adorable on Maggie! I should note that Maggie’s super slim and short like her parents. If she was the size of most of her friends, the fit would have been much truer. (If she was the size of her Amazon BFF, Marsha would have needed a lot more yarn! That child’s the size I was in fifth grade, but I digress.) 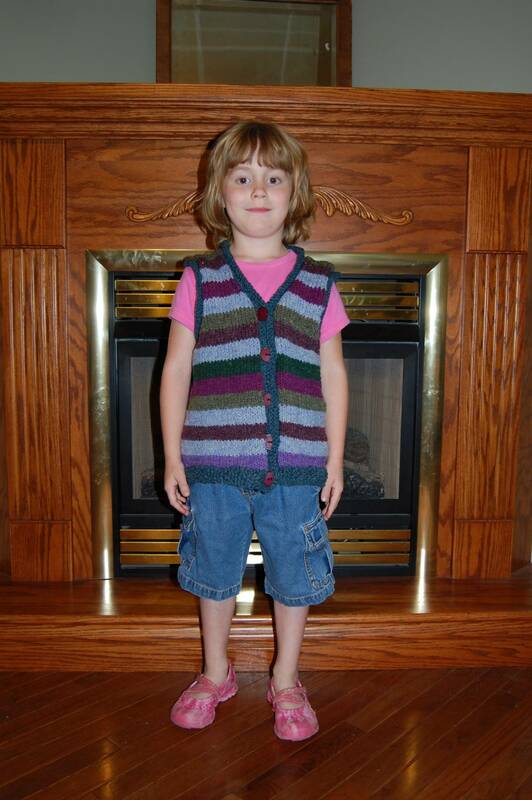 But Maggie does love the vest and can’t wait to wear it to school this fall. beautiful vest – Maggie has the good sense to wear such a fashion statement! Bravo!!!! Nice vest, I don’t know Maggie, but she sure looks proud in the photo. 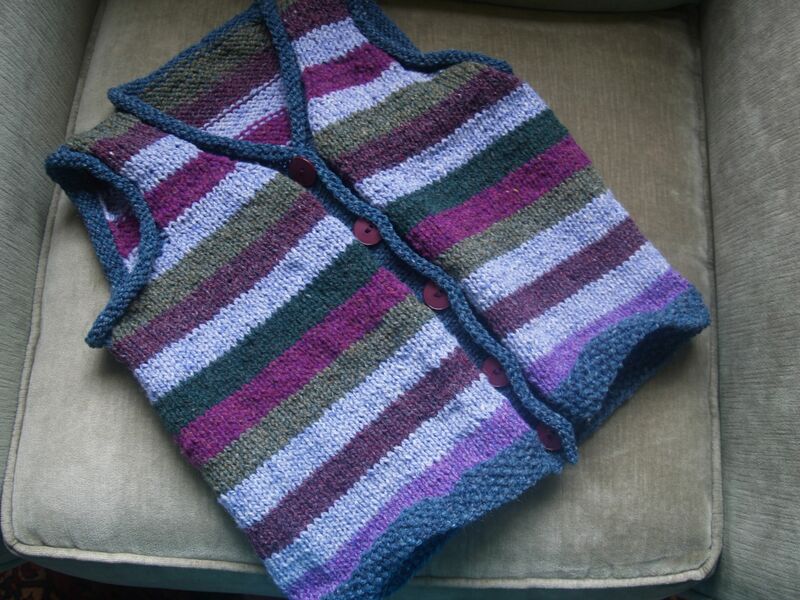 Question, Marsha, how did you knit the vest in the round as and it buttons up the front? Beth, I didn’t officially knit it in the round in that I didn’t use steeks. 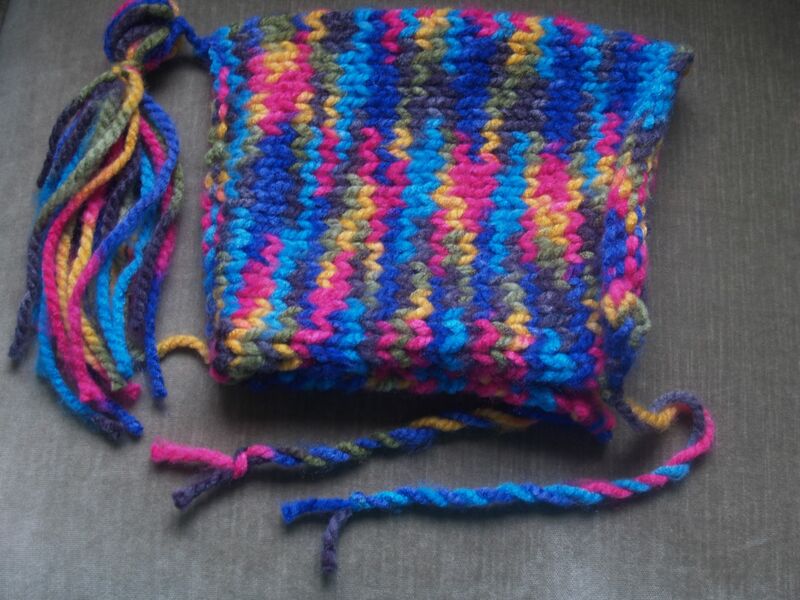 I knit it flat, back and forth. Almost all of Ann Budd’s sweater patterns call for knitting sweaters in pieces and seaming them together. I wanted a totally seamless version.